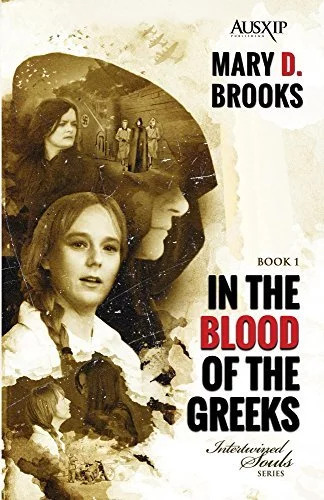 Zoe is growing up in Greece during World War II while her town of Larissa is taken over by the Nazis. Her hatred for the Germans grows daily, as she has lost family and friends to the war. Eva, a German girl in her early 20’s, moves into Larissa with her father, a powerful Nazi leader. Zoe reluctantly becomes Eva’s maid in hopes of taking down the Germans from the inside. Zoe and Eva, despite their differences, develop a unique friendship and eventually growing feelings for each other. Already been through conversion therapy once, Eva is reluctant to begin another relationship with a female. Still, the two find it hard to deny their mutual attraction. Yes, yes, yes!! This is one of the best LGBT young adult books I’ve ever read. I wouldn’t hesitate to recommend this novel to any young girl (or woman) trying to explore her feelings and sexuality. This book put such a positive spin on coming out as gay and self-acceptance that many lesbians struggle with. Books like this give me hope that F/F relationships will become more mainstream in YA fiction. I really loved both main characters and found that switching between their POVs was helpful in understanding their thought processes. Zoe is 14, the appropriate age for women to marry in Greece, but still very much a child. She is naive in the best ways, seeing nothing wrong with her feelings towards Eva and embracing herself. As a result of losing so many loved ones and experiencing death everywhere around her, Zoe grows into a fearless young adult. She was such a pleasure to get to know. Eva, on the other hand, broke my heart. I read her narration as someone suffering from PTSD (due to past trauma and conversion therapy). Her inward struggles display themselves physically and mentally and it was so sad to see that through her words. Eva starts off as a shell of a person who once played against the rules and develops into a character who is learning to love again (with Zoe’s help). Although Eva’s mental conversation was less exciting than Zoe’s, I enjoyed reading her’s a little bit more. I’m so thankful that I was approved to receive and review a copy of this book. I look forward to reading the next few books in the series! Thank you for the review of my novel, Maddie!